Download a printable brochure here! 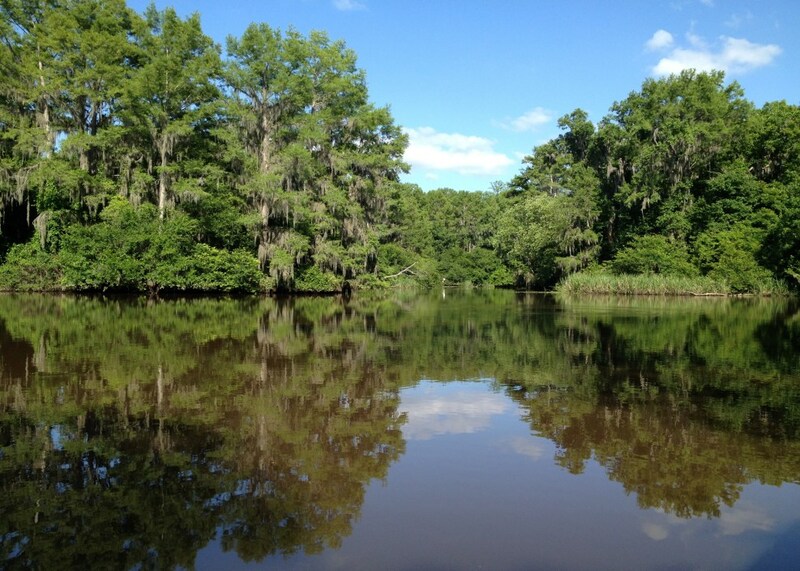 Caddo Lake was the site of the world’s first off-shore drilling for oil. 5 miles: Caddo Lake State Park and Wildlife Management Area. Nature trails and exhibits of the history of Caddo Lake and the Caddo Indians and indigenous plants and animals. 5 miles: Caddo Lake National Wildlife Refuge. migratory birds and other fish and wildlife that depend on it. 16 miles: Jefferson, Texas. Once the second largest port in Texas and the destination of steamboats traveling from the Red River, through the sloughs of Caddo Lake. Now Jefferson entertains visitors with sights of historic architecture, eateries, museums and antique shopping. 20 miles: Marshall, Texas. Home of the well-know Marshall potteries and museums. 30 miles: Shreveport, LA. Gambling boats on the Red River, Shopping, and urban ambiance.